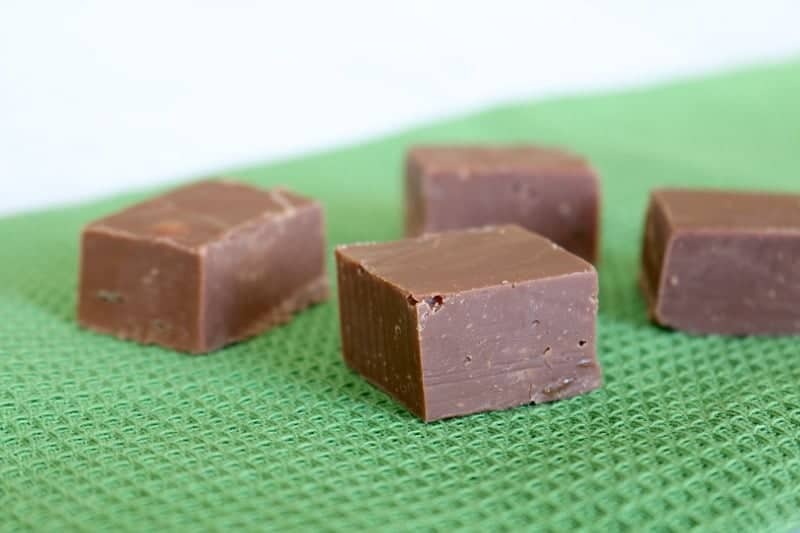 The Thermomix is absolutely brilliant for so many things… one of which is making the yummiest fudge. 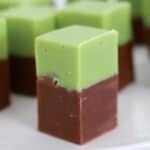 Until I owned my Thermomix I would always struggle to get the texture right with my fudge. Now it’s so easy – everything just gets popped in and off you go! 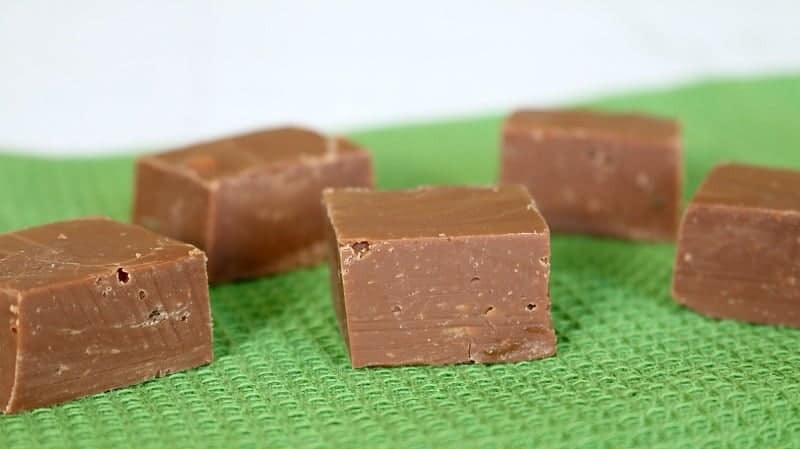 Making fudge in the Thermomix is virtually foolproof. 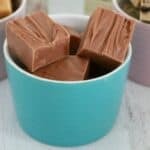 I’ve been making a classic chocolate fudge recipe for ages now and it’s always a family favourite. 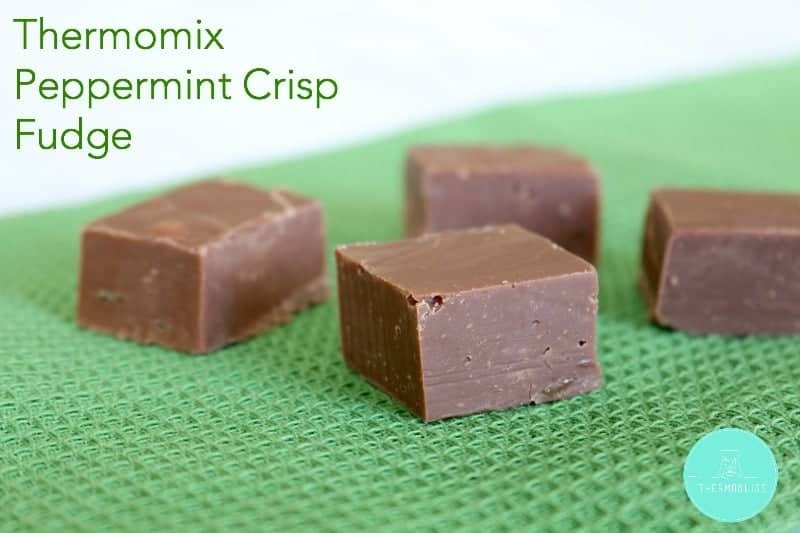 But this time I decided to mix things up a little and make it into a decadently rich Peppermint Crisp Chocolate Fudge, because let’s face it, nothing beats that amazing chocolate mint flavour combination. And who on earth can resist a little bite of Peppermint Crisp… certainly not me (PS. 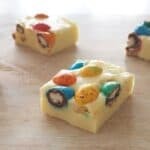 I recommend buying an extra Peppermint Crisp bar because there’s no way you’ll be able to resist nibbling on one while you make this fudge). 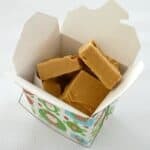 I love making up batches of fudge to give to friends and family as a yummy little gift. It really is the perfect little treat! 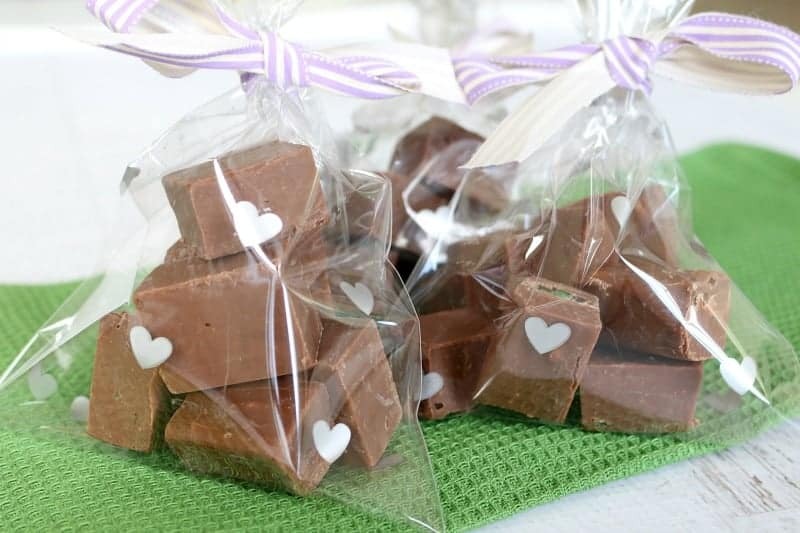 Are you a fan of making fudge in your Thermomix too? What are your favourite fudge flavours? Line a 18X30cm rectangular slice tin with baking paper. Place dark chocolate melts into the TM bowl and mill on Speed 9 for 10 seconds. Set aside in a separate bowl. Add the raw sugar to the TM bowl and mill on Speed 9 for 10 seconds. Add the condensed milk, butter, liquid glucose and peppermint extract/essence to the TM bowl. Cook at 100 degrees, Speed 3 for 8 minutes (MC off). Scrape down the sides of the bowl. Cook at Varoma temperature, Speed 3 for a further 20 minutes (MC off). Scrape down the sides of the bowl. 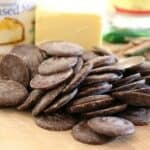 Add milled chocolate and mix at speed 3 for 30 seconds. 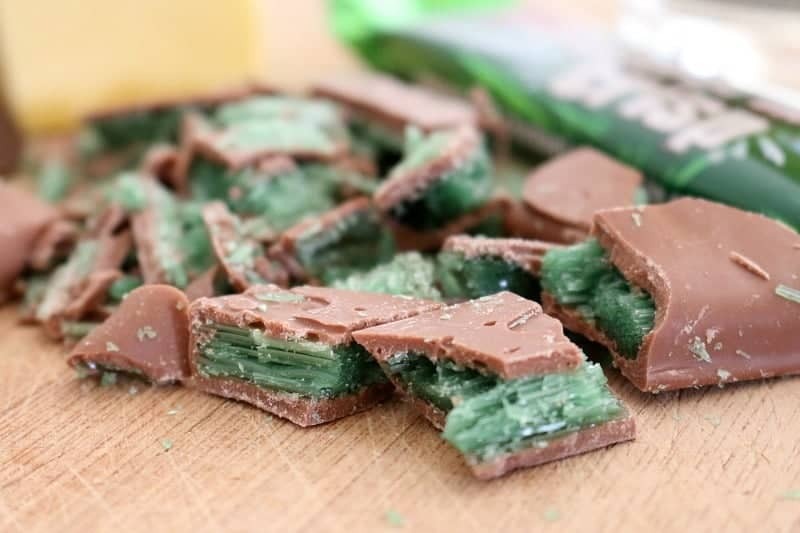 In the last 10 seconds, add the chopped Peppermint Crisp bars while the blades are turning. Working quickly, spread the fudge into the prepared tray and pop into the fridge to set. Cut into slices. 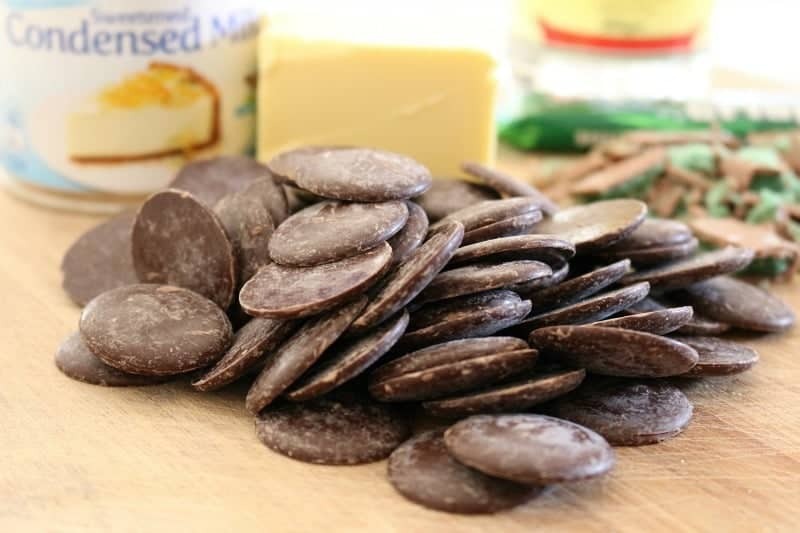 * Please note that the fudge will set quickly, so make sure that your tray is prepared prior to making the fudge. Both the big and little kids sure would! We love this and have made this many times. I always wish I had made two batches. So good and easy! Would there be any difference if using normal choc instead of dark? Nope not at all! That will be fine! How long does this fudge last in the fridge? Just trying to get organised with gifts for christmas! I love your cellophane bags please let me know where u sourced them from ? Thank u for your wonderful recipes n website. I assume liquid glucose the same as glucose syrup? I’ve never had a peppermint crisp bar…Which brand are they and where do you buy them? Hi, do you think the fudge is freezable? I got the fudge out of the fridge and it’s SO difficult to slice! I followed the recipe exactly. Is this normal? Any hints on how to cut up the fudge, it has gone quite hard and not very fudgy. Ignore my last comment. I’m so glad I gave it another shot…This time it’s worked perfectly! I think my error first time around was that when I measured the Glucose Syrup I did it into a seperate jug and then tried to pour that into the TM. This meant I left behind a LOT of the Glucose. Second time around I poured directly into the TM bowl and got the correct quantity. It is perfectly fudgy now and ready to give as gifts. Thank you! !